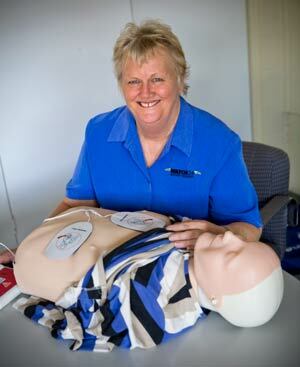 Hartbeat Training, Consultancy & Training Rooms, Gympie. We are just moving to an online booking and payment system. Should you have any issues with either we welcome your phone call. To be able to complete your booking online you will require a USI number. If you don't already have one you will need to create your own by going to www.usi.gov.au You now require this number in Qld for any accredited course of training. Use our easy booking system using the links below, or call us on 5482 2203. The Hartbeat Training Centre located at 5/24 Barter Street, Gympie is available for hire.Click here Training Rooms for Hire for more information. Our courses are run by qualified instructors. Check our Training Courses Dates page for details of courses we are currently running. Everyone completing a CPR or First Aid certificate from 1/1/2015 MUST have their USI validated. USI stands for Unique Student Identification. Everyone must go to the website and enrol to get their number. Go to www.usi.gov.au Go to Create your USI. Takes about 10 minutes.